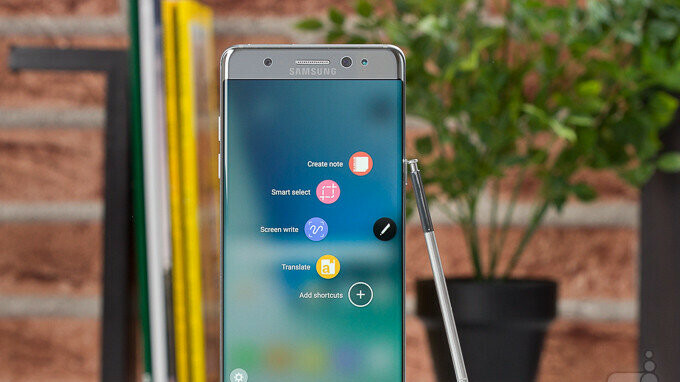 The Samsung Galaxy Note 7 could have had it all. The device was on its way to becoming Samsung's biggest selling phone of all time when all of a sudden there were several complaints about the device exploding and catching on fire. After the phone was recalled, Samsung issued new units that were supposedly safe to use. But one of these "safe" models started to smoke while its owner was boarding a commercial flight. The phone's owner dropped it on the floor of the plane where it promptly burned a hole in the plane's carpeting. Imagine what might have happened if the phone didn't start smoking until the plane was in the air. That led Samsung to recall the Galaxy Note 7 a second and final time, which resulted in another problem; some owners loved the device so much, they refused to let it go. By January 2017, over 96% of all Galaxy Note 7 units had been returned to Samsung. The manufacturer had sent out an update that prevented the phone from charging, and that seemed to be the last straw for many of the holdouts. But not every Galaxy Note 7 purchased was turned in. Some airlines even continue to post signs at the airport stating that no one is allowed to board a plane if they are carrying a Samsung Galaxy Note 7. Sammy's own support page, last updated on April 17th, 2018, asks those with a Galaxy Note 7 to turn it in to Samsung, noting that the handset "poses a safety risk." And that risk isn't just to the phone's owner, but to innocent bystanders around him/her. You see, on Reddit there are Galaxy Note 7 owners discussing how they are still using the phone, including one owner who posted pictures showing that the battery on his unit is beginning to swell. On XDA, there are hints on how to bring a "dead" Galaxy Note 7 back to life. Frankly, why take a chance? If you love the Galaxy Note 7, you can always look for last year's Samsung Galaxy Note Fan Edition. Made from parts salvaged from returned and unsold Galaxy Note 7 handsets, the Fan Edition has a somewhat smaller 3200mAh battery compared to the 3500mAh cell that was used to power up the Galaxy Note 7. And the Snapdragon 820 SoC that powered the Galaxy Note 7 is replaced by the Snapdragon 821 chipset on the Galaxy Note Fan Edition. Look, it's really a moot issue at this point.The Samsung Galaxy Note 8 was launched last year and the Galaxy Note 9 will be unveiled two weeks from tomorrow. If you still happen to own a Galaxy Note 7, you really should turn it into Samsung. As recently as April, the company said that returned units can be exchanged for another Samsung, or a refund based on the terms of the expanded Note 7 recall. Now is the time to look ahead instead of looking back. "Samsung has announced an expanded voluntary recall on all original and replacement Galaxy Note7 devices sold or exchanged in the United States in cooperation with the U.S. Consumer Product Safety Commission and in partnership with carriers and retailers. Since the affected devices can overheat and pose a safety risk, we are asking consumers with a Galaxy Note7 to power it down and contact the carrier or retail outlet where they purchased their device. Consumers who have a Galaxy Note7 device can exchange their phone for another Samsung smartphone, or receive a refund, under the terms of the expanded U.S. Note7 Refund and Exchange Program. "The device was on its way to becoming Samsung's biggest selling phone of all time..." There's no way this is true. Perhaps the best selling Note of all-time. Buying a Samsung device is like buying a Dodge, once you open that phone the value just dropped 50%. A month after, the phone is worth 1/3 of its retail value. That's not even remotely true. A year later, the Note 8 can still be sold for 60% of its original value & Samsung devices hold their value better than any other Android OEM. You've been spouting your ignorance on this website for years. I'm embarrassed for you anytime you say anything. Yes, and that's why it got recalled. Next. I can't believe there are still people using that phone. How clever for you to post an article against Samsung and Samsung Galaxy Note line when Note 9 is around the corner. How much money does Apple pay you guys? It's disgusting to read articles against a company who is one of best in what they do. To be fair, PhoneArena has posted floods of Note9 articles, the vast majority of which are positive. And there's really nothing that sounds biased to me in this story - just stating facts about the instability of Note7 units, which Samsung also acknowledges. Come on, there was no reason to post a article about the note 7, It will soon be two years old. It's just a way to get a jab in and clicks. Agree 100% There was no reason to bring up a almost 2 year old phone other then to take a jab at Samsung since the new note is about to be announced soon. It's almost 2 year-old, and it's not rare to see 2 y.o phone's with swelling battery, it's already time to replace the battery. Even some iPhone 8 got swollen battery right out of the box. Just when I thought Phone Arena FINALLY stopped bringing up the Note 7 incident they go & post some imbecilic stuff like this. You would've had to be living under a rock to be unaware of the Note 7's issue, ergo, warning people about the dangers of still having one is literally stating if you play with fire you're going to get burned. They know it already. Let them play at their own risk. No need for this pointless @$$ article. Period. Trying to bring Techie out of hiding PA? Might do the trick. I for one, actually find it interesting that people are still holding onto this scary device. And if you reread the article, you'll see the author bashing far more on the people who are still using these devices, not Samsung. Not every article about the "big two" has to be biased on PA. PA puts out a lot of articles, so don't expect every article to appeal to you.